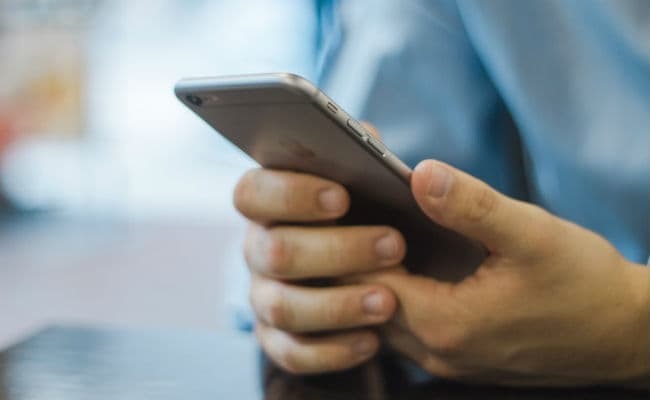 Under a limited-period scheme, BSNL prepaid customers recharging their mobile connection with the Rs 249 pack will get 10 GB of data per day, among other benefits, according to the BSNL website. As the telecom industry remains in a highly competitive mode led by Reliance Jio, Bharat Sanchar Nigam Limited or BSNL has announced voice and data benefits under a new promotional recharge coupon at Rs 249. BSNL's special tariff voucher or STV of Rs 249 comes with a validity of 28 days, according to its website - bsnl.co.in. Under a limited-period scheme, BSNL prepaid customers recharging their mobile connection with the Rs 249 pack will get 10 GB of data per day, among other benefits, according to the BSNL website. BSNL's recharge pack of Rs 249 also includes free local and STD on-net voice calls. the state-run telecom operator added. In this context, on-net calls mean voice calls made using a BSNL connection to another BSNL number. 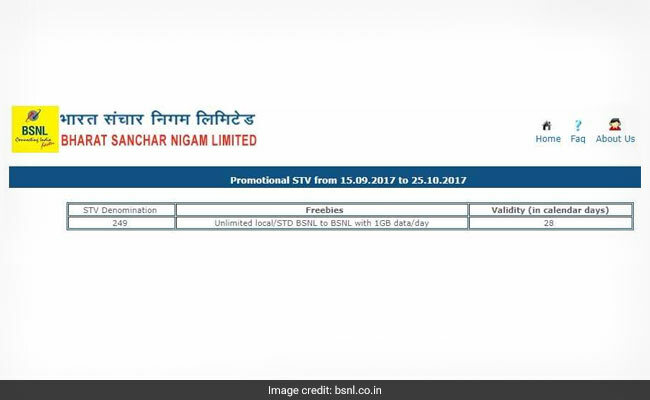 BSNL's Rs 249 STV is a limited-period offer, available till October 25, 2017, according to the company's website. BSNL has also announced another recharge with voice calls and data benefits for its prepaid customers. This recharge option can be purchased by BSNL prepaid customers at Rs 429. BSNL's Rs 429 recharge pack comes with unlimited voice calling and 1 GB of data per day for 90 days for prepaid mobile customers. Reliance Jio's entry in to the telecom industry has triggered a pricing war among operators. Incumbent telecom operators are launching new plans every other day to retain customers and halt Reliance Jio's aggressive attempts to grab market share, say some analysts. Reliance Jio Infocomm, the provider of telecom services under brand name Jio, has launched several plans to its prepaid and postpaid customers, offering unlimited calls and low priced mobile data. With a new recharge pack priced at Rs 399, Jio customers get 1 GB of data per day at 4G speed for 84 days along with free voice calls, SMS (short message service) and access to MyJio app services. Under a plan priced at Rs 149, Jio offers unlimited local and STD calls to mobile or landline numbers across India plus 2 GBs of data for 28 days. Jio has also launched a new recharge plan at Rs. 349, which comes with 20s GB of 4G data with a validity of 56 days without any daily limit. You can use the entire 20 GBs of data even in one day or spend it over 56 days. After you consume the 56 GBs of high speed data, the internet speed will be reduced to 128 kbps, Jio said.